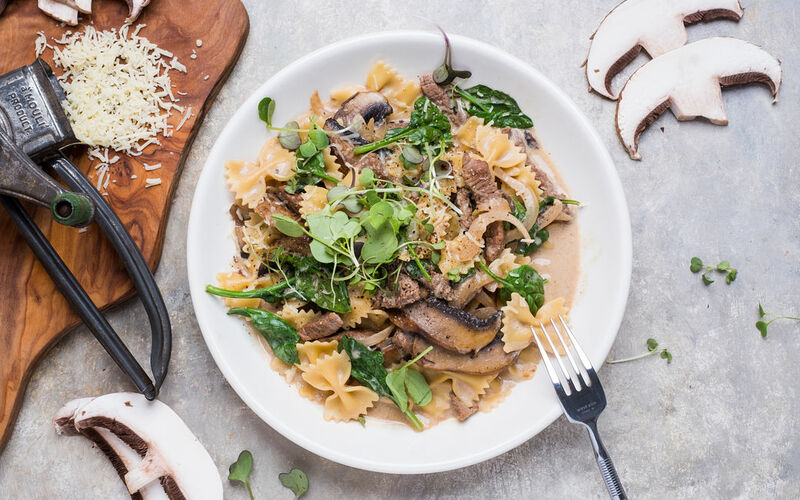 Spring has sprung and it's finally time to feel the fresh breeze of flavours with our creamy mustard coated caramelized beef farfalles! 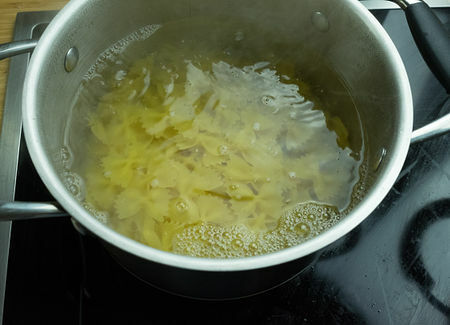 In a large pot, bring salted water to a boil, and cook the farfalles for 10 minutes. Strain and reserve. 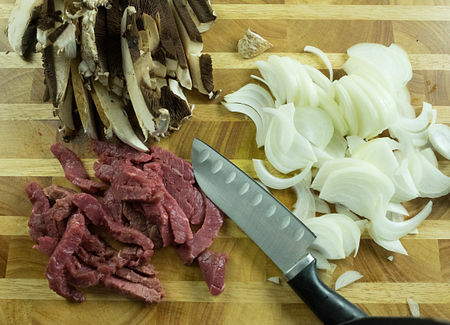 Slice beef, onion and mushrooms. Caramelize ingredients with butter in a pan over high heat for 10 minutes. Add thyme leaves. 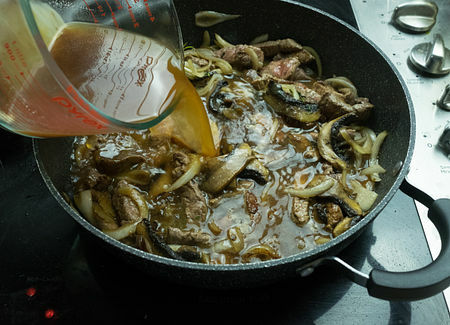 Dissolve the beef broth cube into water for broth. Add to pan and cook for 5 minutes more. Add the cream and cook another 2 minutes. Add Dijon mustard and mix well. 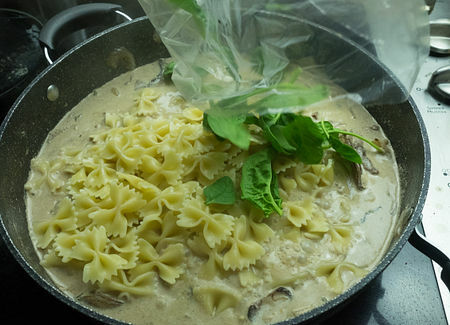 Add the cooked pasta and the spinach. 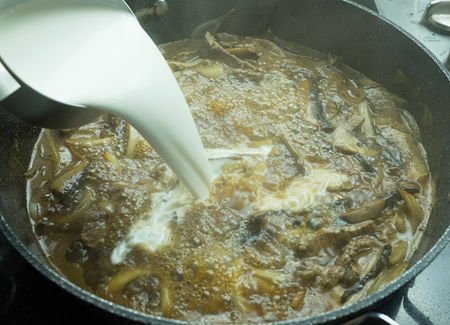 Mix well, cover and let simmer for 5 minutes, making sure that it does not stick. Serve and garnish with parmesan and pepper to taste.